A couple of years ago I began playing with a recipe for homemade barbecue sauce and managed to come up with one I really liked. I confess I deliberately added several ingredients which would enhance the flavour but be hard for people to guess – the goal being to make it my very own special sauce. It’s not hard to make but requires some time just to put all of the components together. People love it and I ended up sharing the recipe with a few people and will now publish it here at the end of this blog. I really do believe in sharing recipes!! BUT – back to the easy one. My niece sent me a recipe she got from another relative for a much easier version over two years ago but I didn’t try it until this week. I must confess that, as usual, I adapted the recipe considerably to my tastes AND I’m really surprised at the great flavour with much less effort. You, too, can adapt the barbecue sauce to your tastes. Too vinegary? Add another tablespoon of sugar and next time add less vinegar. Love the tang of the vinegar – simply add more but go a tablespoon at a time. Want it spicier? Add a little more hot sauce or, for real heat, a few red pepper flakes. Go easy though! One of the first inedible dishes I made many years ago was when I substituted red pepper flakes for chili powder!! Smoked paprika is essential to the flavour of this dish and is a favourite spice of mine. Just the wonderful smoky smell of it makes me want to put it in something. It can be used in many places calling for paprika and comes in hot or sweet. I find you have to look at the can carefully to see if it is hot or sweet. I usually use the sweet variety and add the heat from other sources. It is not always found in the grocery stores around here so you may need to look for it at delis, butchers, or gourmet food places. The red can in my header picture is a brand of smoked paprika. Pulled pork has become very popular in the last few years and is easier to make than some chefs/cooks would have you believe. This recipe rivals what you would get even if you spent all day at the barbecue slowly cooking the meat. Use the most inexpensive roast you can find. The 3 lb. pork leg roast I used to test this recipe was well under $5 and would make 8 – 10 good sized buns. I highly suggest making the whole recipe and freezing the leftovers flattened (for easier and quicker thawing) freezer bag. A quick and easy dinner for another time. 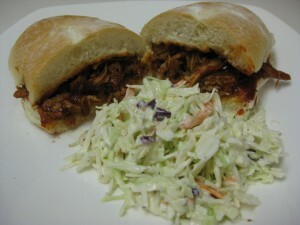 We prefer pulled pork on soft buns – much easier to eat without everything squeezing out one end. I have served this at parties with small dinner sized buns to make them more appetizer/snack sized. Serve with coleslaw – some people like to put the coleslaw on the bun. Preheat oven to 425 F. Line a shallow roasting pan or other baking dish with foil. Place roast in pan and roast in the oven for 30 minutes. Remove from oven and place in slow cooker. In a glass measuring cup, mix water, cider vinegar, Worcestershire sauce, chili, cumin and liquid smoke. Pour this mixture over the roast. 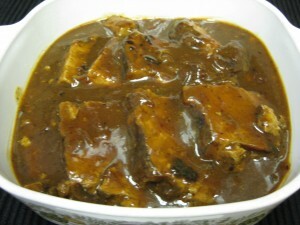 Cook in slow cooker for about 5 – 6 hours or until very tender – a meat fork with go in and out of the roast very easily. Remove the roast from the slow cooker to a shallow dish (to catch any juices) to cool slightly. Skim off excess fat from the juices in the slow cooker. If there is a lot, depending on your roast, it may be easier to pour the juices into another bowl, skim fat, then return to slow cooker. You should have about ¾ cup of juices – if you have more, remove some and reserve. Pull pork apart with two forks leaving fairly large chunks and removing visible fat. You may wish to cut very long strands into shorter pieces. 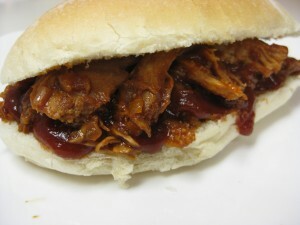 Return pork to the slow cooker and pour over about 2 ½ to 3 cups of the barbecue sauce or enough to coat generously. Mix gently and cook another 1 – 2 hours on low or until the pork is very hot. Serve on soft buns with extra sauce to spoon over the pork. Excellent with coleslaw. Saute the onions in a little oil on medium to medium heat for about 5 – 7 minutes until softened but not browned. Stir in garlic and cook another minute or two. 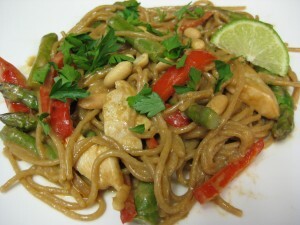 Stir in remaining ingredients and simmer sauce about10 – 15 minutes to blend flavours. Can be made ahead and stored in the fridge for several days. My idea of a good slow cooker recipe is one that goes together quickly with not too many ingredients yet still tastes great! This Cranberry Pork Roast fits that description well. I have even used a pork leg roast (fairly lean and not the most tender cut) with great results – just cooking it a little longer. 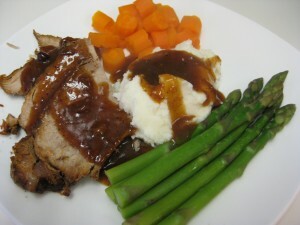 The cranberry sauce is not too sweet in the gravy and goes well with the pork. Resting the meat allows you to more easily cut the pork into slices. 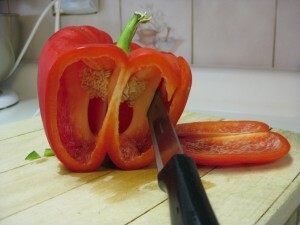 You need a really sharp knife or an electric knife to get neat slices. 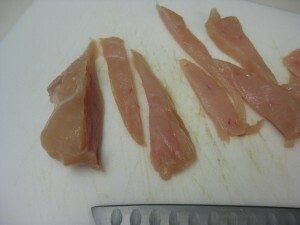 Do make sure to cut across the grain – you should not see long strands of meat. This may be harder to see on a pork sirloin or leg roast. Leftovers reheat well. Slice any leftover roast and pour any remaining gravy over the top in a casserole or baking dish. Refrigerate until needed then pour 2 or 3 tablespoons of chicken broth or water around the dish and reheat, covered, about 45 minutes at 350 F. Storing and reheating the pork in the gravy prevents drying out of the meat. Leftover pork covered in the gravy. After our second meal, we still had leftover roast but not much gravy. The final leftovers will be great served in a bun with a green salad or coleslaw on the side. I made this roast in a 6 quart slow cooker – any slow cooker that your roast fits into should work fine. 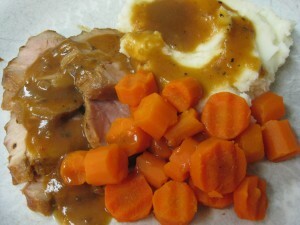 1 boneless pork loin or pork sirloin roast, about 3 – 4 lbs. ½ tsp. 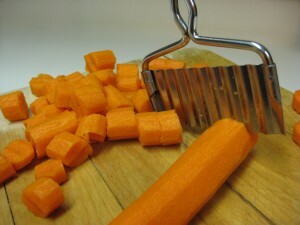 ground ginger – optional – may use only ¼ tsp. Combine cranberry sauce, brown sugar, ¾ c. chicken broth, salt, mustard, pepper, and ginger. Pour a small amount into bottom of slow cooker. Place roast in (cut in half if necessary to fit) and pour remaining sauce over. 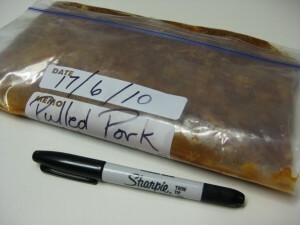 Cover and cook on low for 8 hours for a pork loin – a bit longer for less tender cuts. A meat fork should easily go in and out of the roast. Remove roast and cover with foil to keep warm for about 20 – 30 minutes. This resting time also makes cutting the roast into slices easier. Skim any excess fat from the juices. Turn slow cooker to high. Stir together cornstarch and 1/4 cup chicken broth until smooth. Add to sauce in slow cooker. 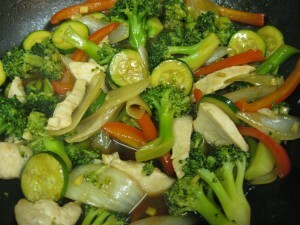 Cook 15 – 30 minutes or until thickened. Serve with roast. Accompaniments: garlic mashed potatoes or a wild rice pilaf. 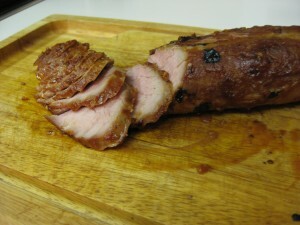 Pork tenderloin is one of my favourite cuts of pork. It is so tender that it is not really necessary to marinate it but this marinade is quick and easy and adds great flavour. 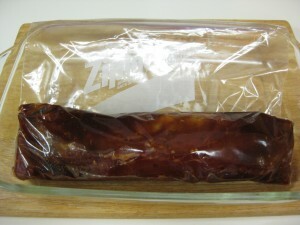 Marinating in a sealable plastic bag keeps the marinade surrounding the meat so that it is not necessary to turn the meat. In the summer we grill the pork tenderloin on the barbecue but in the winter it does beautifully in the oven. The gravy is delicious with mashed potatoes. 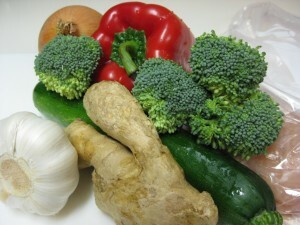 Add another favourite vegetable and dinner is ready. Do use an instant read thermometer if you have one – if not, the times given are quite accurate for meat which is at room temperature. If baked directly out of the fridge, add just a few minutes to the baking time. Slice the pork on the diagonal into fairly thin slices. The crinkle cut carrots in the picture are a tradition in our family and a topic of conversation when someone has not seen them before. These cutters are fairly easily found wherever kitchen utensils are sold. Bake on a rack in a roasting pan at 400 F. about 20 – 25 minutes. Pork should be just barely pink in the middle – 145 F or 155 F if you prefer more well done. The temperature will rise 5 – 10 degrees as it rests. Remove the pork tenderloin on the rack to a cutting board, cover loosely with foil and let sit about 5 – 10 minutes before slicing thinly on the diagonal across the grain. Pour marinade into a saucepan. Add the beef broth and bring to a boil. Let cook at a gentle boil for at least 5 minutes. Mix cornstarch with 2 tbsp. cold beef broth and add to gravy or sprinkle the potato flour over the gravy while constantly stirring. Let simmer at least 5 minutes or until meat is ready. Gravy is fabulous over mashed potatoes.